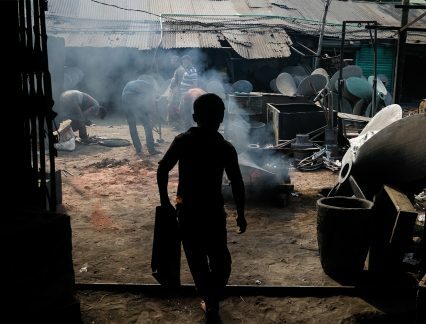 As NGO and media scrutiny of commodities supply chains is intensifying, brands are under growing pressure to address risks of forced labour and human rights issues that could be associated with their products. But how do companies anticipate where the next reputational flashpoints will occur? According to global risk consultancy Verisk Maplecroft, social media might hold the answer. The company’s latest research used data from Twitter to explore 12 key commodities, alongside terms around child labour, forced labour and occupational health and safety. Mapping the results against its commodity risk scores, the firm could narrow down the countries and issues likely to be the subject of new high-profile campaigns, discovering risks that traditional methods may have overlooked. “What is clear is that it could be time for brands to expand the arsenal of tools at their disposal to understand how and where reputational damage could strike, so they can adjust their responsible sourcing strategies accordingly. It might just keep them one step ahead of an unwanted headline,” says Stefan Sabo-Walsh, head of value chains at Verisk Maplecroft and author of the analysis. Speaking to GTR, Sabo-Walsh discusses the research approach and results, and advises brands on how to develop a proactive approach to their risk management. GTR: Verisk Maplecroft has used social media to assess which sectors and countries could pose a risk to corporate reputations. How have you done that exactly? Sabo-Walsh: Verisk Maplecroft used natural language processing (NLP) techniques to monitor social media posts associating labour rights issues with the production of raw materials. Using nearly 1,400 days’ worth of anonymised data from Twitter, we identified spikes in tweets that referred to search terms relating to 12 key raw materials and labour rights issues including ‘human rights’, ‘child labour’, ‘forced labour’ and ‘worker safety’. By investigating these spikes, we were able to locate open-source reporting that identified labour rights violations at the lowest tiers of multinational supply chains, the area most businesses struggle to monitor effectively. GTR: Why can this approach give insights that traditional methods can’t? Sabo-Walsh: Traditional risk assessments and monitoring strategies generally concentrate on a small subset of raw materials that businesses source high volumes of, or which are already associated with labour rights issues in key sourcing geographies like palm oil and cocoa. What they generally don’t do is allow businesses to pinpoint violations that aren’t already on the corporate radar. As our research finds, cobalt emerged as a highly problematic commodity in 2016 following a heavy-hitting Amnesty International investigation that found widespread use of child labour in DR Congo. However, low-level signals based on in-country reports and tweets referencing the issue were filtering through prior to the publication of the report, indicating that our proposed approach to raw material monitoring can help businesses develop a proactive approach to risk management as opposed to scrambling to react to highly damaging reports. GTR: What top risks have you identified in your research that brands should be particularly aware of? Sabo-Walsh: Our data shows that an increasing amount of social media posts link six high-profile commodities – cobalt, cocoa, coffee, cotton, gold and palm oil – with labour rights issues. And we expect reported violations linked to cobalt, coffee and gold in particular to continue to grow across 2019. Reports linking DR Congo’s production of cobalt in industrial and artisanal mines to child labour and poor working conditions are commonplace. Gold production in DR Congo also faces severe scrutiny, but the metal’s links to human rights issues are driven primarily by ongoing allegations of violations in illegal mining operations in Latin America. GTR: Are there any other takeaways that brands could learn from this research and method? Sabo-Walsh: Our research highlights two points that businesses will need to internalise. The first is that a single investigation conducted by an NGO or media outlet into allegations of wrongdoing at the farm or mine level can change an industry and, importantly, increase consumer and regulatory expectations. The second is that once an investigation is published, the allegations aren’t going away. Cocoa, sugarcane, coffee and palm oil are consistently being linked by NGOs and stakeholders alike to new allegations due to the widespread nature of labour rights violations in multiple producing countries and limited oversight by companies of the lower tiers of their supply chains. GTR: Is it time for brands to change the way they assess reputational risks? What is your advice to them? Sabo-Walsh: One of the main ways that businesses attempt to address exposure to reputational risks – be those environmental, social or governance specific – is by conducting risk assessments. A key way to ensure that a risk assessment reflects a business’ operational exposure is through regular monitoring – be that at the country, supplier or raw material level – as this identifies issues that could impact brand reputation or operational continuity as they arise. However, continuous monitoring has not been adopted by businesses as standard practice, and risk assessments are often suspended until a one-off self-assessment questionnaire (SAQ) or audit is completed or revisited a year or two later when the assessment requires refreshing. This leaves a significant information gap between assessment dates that is rarely filled. Accordingly, our recommendation would be that businesses continue to develop new approaches to monitoring to ensure that information gaps are continuously being closed. For example, implementing a framework that draws on natural language processing techniques allows businesses to monitor the hundreds of raw materials and sourcing geographies present across their supply chains. It is far less burdensome than traditional assessment methods which only allow for analysis of the most important raw materials and suppliers. GTR: Is this method one that financiers could adopt as well when assessing potential markets and transactions? Sabo-Walsh: Yes, as it helps to quickly identify risks across the investment cycle. This approach supports not only the ability to rapidly identify the historic trends associated with the assets or raw materials you are considering an investment in, but also allows you to develop more accurate, forward-looking investment and procurement strategies by taking into account where environmental and political instability-related risks could impact your performance.